What’s in a Name: Legend has it the name Black Eyed Susan came from a poem of the post-Elizabethan era entitled, “Black Eyed Susan,” written by John Gay, a very famous poet of the day. The name Rudbeckia was given by Carolus Linnaeus in honor of his teacher at Uppsala University in Sweden, Professor Olof Rudbeck the Younger (1660-1740), and his father Professor Olof Rudbeck the Elder (1630-1702), both of whom were botanists. Rudbeckia is one of at least four genera within the flowering plant family Asteraceae whose members are commonly known as coneflowers; the others are Echinacea, Dracopis and Ratibida. 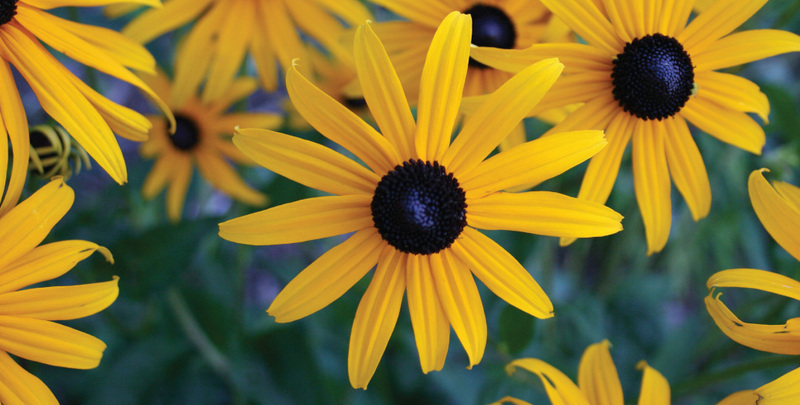 About the Plant: Rudbeckia is a plant genus in the sunflower family. The species are commonly called coneflowers or Black Eyed Susans; all are native to North America and many are cultivated in gardens for their showy yellow or gold flower heads. The species are herbaceous, mostly perennial plants (some annual or biennial) growing to 0.5–3 m tall, with simple or branched stems. The leaves are spirally arranged, entire to deeply lobed, 5–25 cm long. The flowers are produced in daisy-like inflorescences, with yellow or orange florets arranged in a prominent, cone-shaped head; “cone-shaped” because the ray florets tend to point out and down (are decumbent) as the flower head opens. Select a site with full sun to light shade and well-drained soil. Apply a thin layer of compost each spring, followed by a 2-inch layer of mulch to retain moisture and control weeds. Water plants during the summer if rainfall is less than 1 inch per week. After the first killing frost, cut stems back to an inch or two above soil line. Divide plants every 3 to 4 years as new growth begins in the spring, lifting plants and dividing them into clumps. 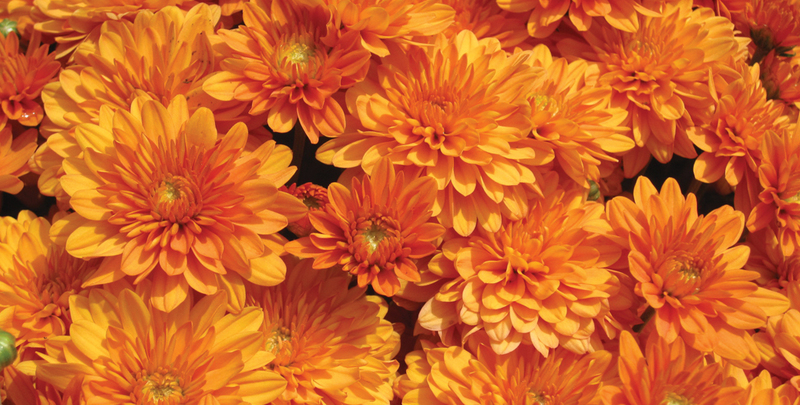 What’s in a name: Chrysanthemum combines two words from the Greek language and means Golden Flower. What’s in a Name: Aster is both the genus and one of the common names of a most popular flower that ranges from daisy-like to star-like in form. 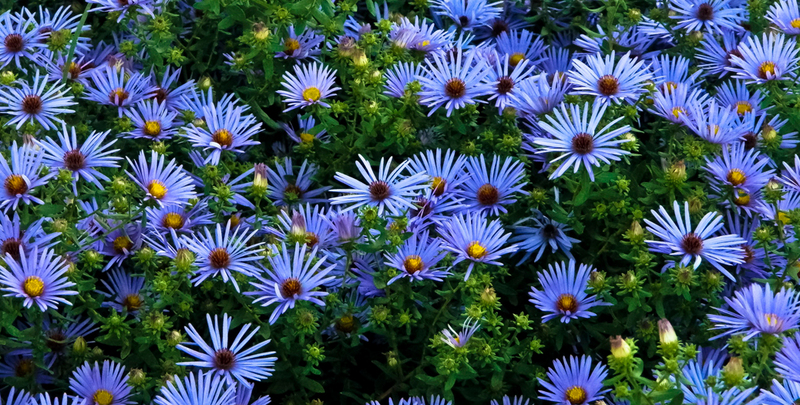 The word Aster originates from the Latin for Star. Other names include Michaelma’s Daisy, Star Wort and Herb of Venus. History: A popular tale is that Asters come from stardust formed by the tears of Virgo (or Astaea). Aster species (over 600 of them) are found throughout the world and have thus been popular for gardens and gifting for many centuries. 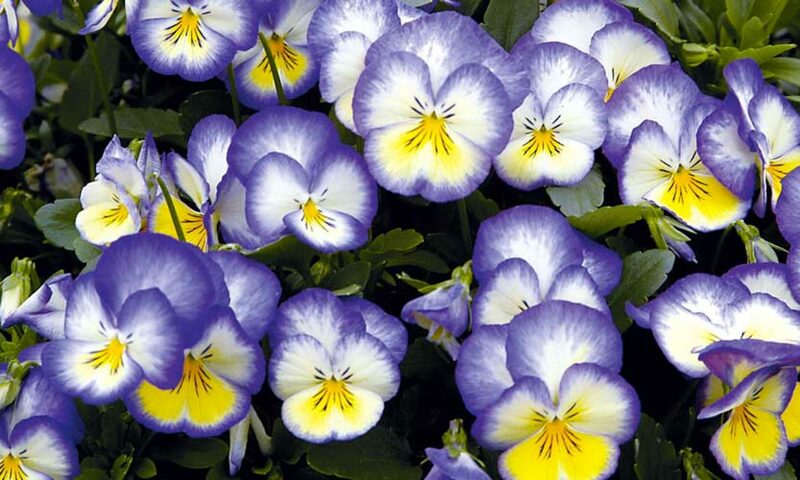 They were also used as medicinal plants in many regions and laid upon soldiers graves in France. love with a maiden named Glad…the twist being that the evil wizard she was destined to marry turned them both into the flowers we know as Gladiolus! History: Most Gladioli species are native to Africa and all are cousins to Iris. They were first hybridized in the early 1800’s leading to the huge selection of color choices we enjoy in modern gardens and bouquets. Gladioli were also used as medicinal plants in days of yore.